“Bizarrely what I didn’t tell you in my last Journal was that a couple of days after the Le Mans weekend, the winning LMP2 car was thrown out for an alleged refuelling irregularity which effectively moved our #22 Ligier into a podium position. It’s subject to appeal which, I understand, will be heard in September. Keep your fingers crossed for us! So, having finished fourth in the third round of the European Le Mans Series at the Red Bull Ring last Sunday, I get a text from my PR guy over six hours after the chequered flag in the Austrian race telling me that the second-placed car had been disqualified so moving us up from fourth to third. So effectively I’ve scored my first-ever ELMS podium finish – yeah baby! Of course I’m very happy to get this result and a Le Mans 24 Hour podium would be truly amazing but it’s just such a shame that, for neither of these races, I’ve had the memorable experience of standing on the winner’s podium. I’d much prefer to have the results settled on-track and in real time, but hey, I’ll take it! I had a really long stint driving on Sunday, very long indeed, 10 mins or so short of three-hours – hopefully I can hit that marker one day – that would be pretty impressive. I must be close to the record for driver time in ELMS now! At the time, a fourth-place finish felt disappointing because United Autosports are doing a good job, Filipe and I are doing a really good job, but we just can’t get the result [on-track] at the moment. Okay, the post-race disqualification brought us into the top-three but we should be there on our own merit. It would appear that we’re not being helped in terms of tyres this season. Dunlop spent the winter developing a new compound to counter complaints from the rival Oreca teams. So while they are now benefiting from better front-end grip and durability, it would appear from the first three ELMS races that it’s to the detriment of us and the other Ligier teams. It’s resulted in us having uncontrollable understeer that we have to try to manage throughout the race. 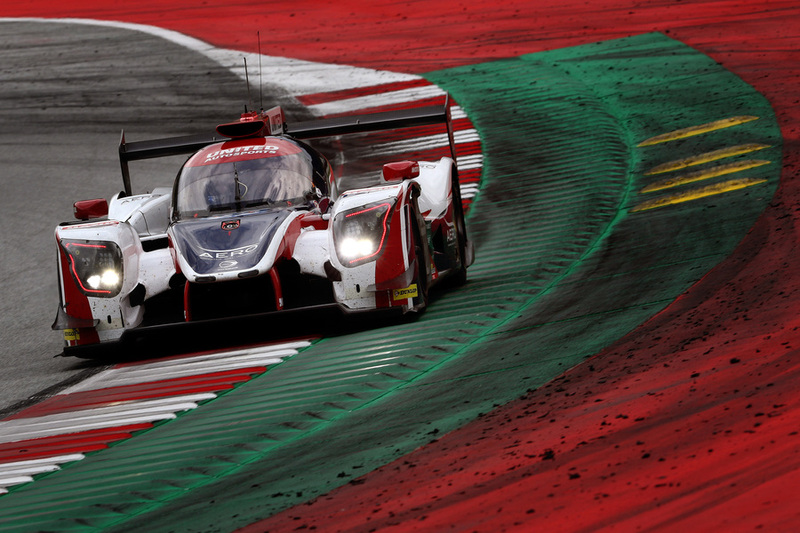 Our lap time is down, and Ligier isn’t the fastest car in a straight line so it’s quite hard to fight back on a track with long straights and is very high speed – like the Red Bull Ring and Silverstone for that matter, the next track we visit in ELMS. Historically United could go to the Red Bull Ring knowing it’s a ‘safe’ track for them with the Ligier in terms of performance. But now we’re going there knowing we’ll encounter loads of understeer. It’s just a real shame because without this handling imbalance, when we can optimise the air a bit more, we’d be vying for wins. It’s been pretty much the same story in the other races. It wasn’t a ‘clean’ race for me either in Austria. I had contact twice – when lapping the same GT Ferrari – that caused damage to the rear of the car effectively causing an aero deficiency. I understand the same car has been involved with a lot of incidents. I think it’s good for our sport to have amateurs, to bring the money in to the game, but there needs to be a limit in which we ask ourselves what sort of driver level we’re letting compete. I’m all for bringing more cars on the grid, but when it’s a car that can damage other people’s races and in our case damage the car, that’s not good! We were very lucky to get away with no damage that necessitated an unscheduled pit-stop. So Silverstone is up next. Not only is it the team’s ‘home’ race but mine as well. Hopefully some of you will come and say hi. Remember the ELMS paddock is based over in the ‘old’ pits at Silverstone. Come and support United in the four hour race on Saturday (18 Aug) – it should be a cracker!"